High-quality mixing desk dust cover for PRESONUS 16 0 2 . Available in Microfibre & Polyester. 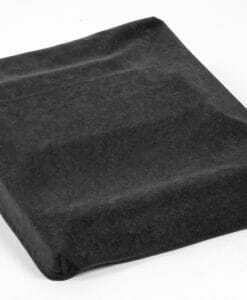 High-quality mixing desk dust cover for PRESONUS 16 4 2 . Available in Microfibre & Polyester. 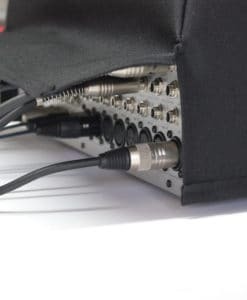 High-quality mixing desk dust cover for PRESONUS 24 4 2 . Available in Microfibre & Polyester. High-quality mixing desk dust cover for PRESONUS Cs 18 Ai. Available in Microfibre & Polyester. High-quality mixing desk dust cover for PRESONUS Faderport . Available in Microfibre & Polyester. High-quality mixing desk dust cover for PRESONUS Faderport 16 cover. Available in Microfibre & Polyester. High-quality mixing desk dust cover for PRESONUS Faderport 8. Available in Microfibre & Polyester. High-quality mixing desk dust cover for PRESONUS Faderport V2 controler. Available in Microfibre & Polyester. Optional foam padding and own logo or text. High-quality mixing desk dust cover for PRESONUS Monitor Station V 2. Available in Microfibre & Polyester. High-quality mixing desk dust cover for PRESONUS Studio Live 16 4 2 Ai. Available in Microfibre & Polyester. High-quality mixing desk dust cover for PRESONUS Studio Live 16 III. Available in Microfibre & Polyester. High-quality mixing desk dust cover for PRESONUS Studio Live 24 4 2 Ai. Available in Microfibre & Polyester. High-quality mixing desk dust cover for PRESONUS Studio Live 24 III. Available in Microfibre & Polyester. High-quality mixing desk dust cover for PRESONUS Studio Live 32 4 2 Ai. Available in Microfibre & Polyester. High-quality mixing desk dust cover for PRESONUS Studio Live 32 III. Available in Microfibre & Polyester.